This striking evergreen perennial has mounded silver foliage. It has 1.5m to 2m flower spikes late spring to early summer. 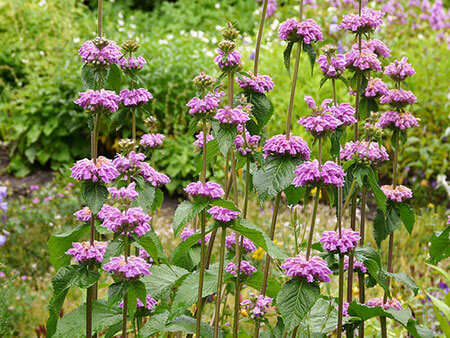 Hundreds of mauve flowers appear in clusters around the stems from top to bottom and last for weeks. Remove spent flower stems to encourage more flowers. Height to 1.5 to 2m when in flower.